Hold on tight, we're in for a bumpy ride. 1. At some point soon, Earth's magnetic poles will flip, and compasses will point south instead of north. Over the last 20 million years, Earth's magnetic field has flipped its polarity about once every 200,000 to 300,000 years. For the last 780,000 years, we've been stuck in our current magnetic configuration, although there are signs that right now something is afoot. Earth's magnetic field appears to have been weakening at a rate faster than you'd get with normal variations. And there's a patch inside the Earth underneath southern Africa that appears to have reverse polarity – if you could use a compass down there, the arrow would point south. This is the sort of behaviour we might expect if a pole reversal was on its way. So whether it's happening now, or will happen in a few hundred years or more, scientists are pretty sure that a pole reversal is on its way eventually. Exactly how magnetic field reversals start is not fully understood, but we do know that Earth's magnetic field has flipped hundreds of times over the last 3 billion years, and there appears to have been no huge detrimental effects. If the field weakened a lot or disappeared entirely, our power and communications systems might be in trouble – but there's no evidence a total disappearance has ever happened in the past. OK, so, to be clear, this one mostly sounds terrifying but will probably be fine in the grand scheme of things. 2. Within a million years, at least one nearby star will explode in a supernova. A couple of the most likely candidates are Antares and Betelgeuse, red supergiant stars that are both expected to explode as supernovae in the next million years. When one of them does, it'll be visible from Earth by day as well as night, lighting up the sky as much as a full moon. Antares lies 550 light years away and is in the constellation Scorpius. It's a red supergiant over 800 times as big as the sun – in our solar system, it'd extend out to somewhere between Mars and Jupiter. Antares has a companion star, and its companion is expected to explode in a Type 1a supernova. 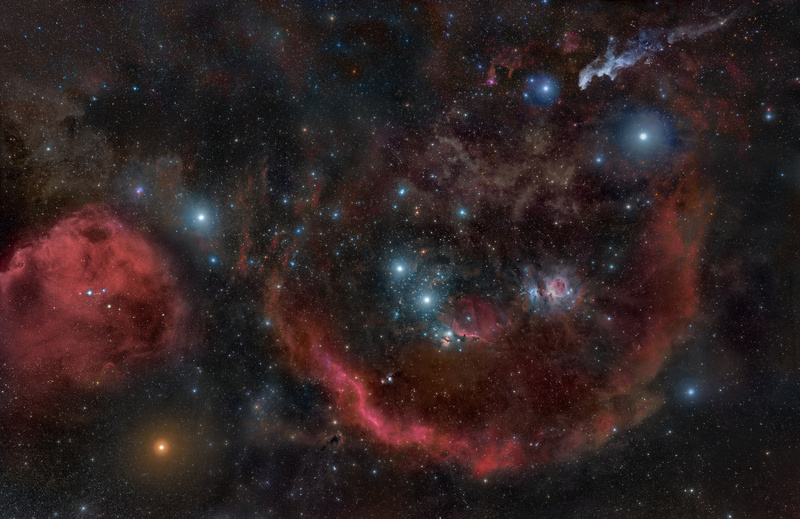 Betelgeuse is 640 light years away and you've probably already seen it – it makes the shoulder of the well-known constellation Orion. 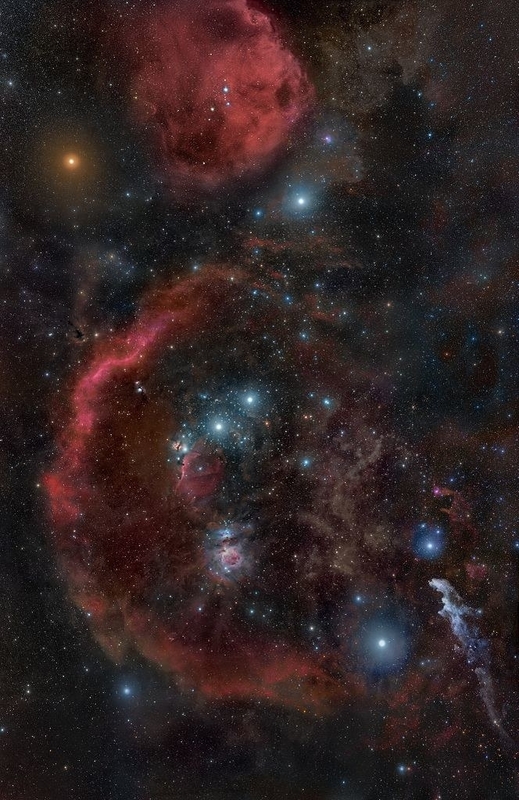 Betelgeuse is in the end stages of its life as a red supergiant and is due to explode as a Type II supernova sometime soon (astronomically speaking). Nobody can say exactly when these or other close-by supernova candidate stars will go, but astronomers say a near-Earth supernova is overdue and both should happen at some point in the next million years. If it does happen in your lifetime, there's nothing to worry about – all the nearest stars likely to go supernova any time soon are far enough away to not pose any threat. 3. In a billion years Earth will get so hot the oceans will evaporate. Since the sun formed, 4.5 billion years ago, it's become about 30% brighter than it was in the beginning. In the next billion years, it's due to get 10% brighter again. Which is sad for us, because it means the oceans are going to start evaporating. The habitable zone around a star is where liquid water can exist. Estimates of the habitable zone around the sun vary, but conservative ones put Earth just inside the zone. The state of the planet or body plays a part too, though. For example, Mars is generally considered to fall inside the habitable zone around our sun but less than a third of the planet has the right atmospheric pressure and temperature for liquid water (if there was any water on Mars in the first place). In about a billion years, the habitable zone around the sun will move further away and Earth won't be in it any more. There's some debate over how quickly this process will happen, but once Earth gets hot enough for the oceans to start evaporating, it's likely to create a feedback loop. Water vapour is a greenhouse gas, so as it evaporates into the atmosphere the planet will heat up more, and more water will evaporate, until, eventually, the ground is dry and the atmosphere is saturated. From there, water will escape into space. 4. In 4 billion years, the Andromeda galaxy will collide with the Milky Way. In 4 billion years our galaxy will collide with our neighbour, Andromeda. Once the merger is over, around 2 billion years after that, Earth will be part of a new galaxy some people are calling Milkomeda. Right now, Andromeda is heading towards the Milky Way at a speed of 110 kilometres per second. When it hits, the two galaxies will mostly just pass through each other, then slingshot back, and eventually form a new, single galaxy. It's thought our solar system will survive relatively unscathed, although it will probably be pushed out towards the edge during the merger, at least 160,000 light years away from the centre of the new galaxy. It's a less happy story for others though – some stars will probably end up ejected from the new galaxy altogether. 5. In about 7 billion years, the sun will expand and engulf Mercury, Venus, and possibly Earth, too. As stars grow old, they eventually run out of stuff to burn. Our own sun is no different. It has about 5 billion years left of hydrogen in its core – once that is all burned up, the core will contract under gravity, and the sun will start pulling in hydrogen from closer to its surface. Once all the hydrogen is gone, it'll move on to helium. While this is going on, the sun's outer layers will expand and its surface temperature will drop – it'll turn into a red giant. Eventually it'll be about 250 times wider than it is today, engulfing Mercury and Venus, at least. If it grew to that size and everything else stayed the same, Earth would definitely end up inside the now-enlarged sun. But the sun will lose some mass, its gravitational pull will weaken, and Earth will probably move further away in response. Scientists are still debating exactly what will happen and therefore exactly what Earth's fate will be. Estimates published in Monthly Notices of the Royal Astronomical Society in 2008 suggest that the sun's spinning on its axis will slow, and it'll bulge in the middle, and the gravity of the bulge will pull Earth inward. Either way, any life left on Earth at that point is a goner. Even if our planet is not engulfed, it's extremely unlikely anything would survive that close to the sun. RIP us. 6. In about 8 billion years, the sun will become a white dwarf. So we know that Earth probably won't survive the sun expanding into a red giant, and even if the planet itself does, any life certainly won't. The sun will stay a red giant for about a billion years. After that, if Earth is still about, it'll have to deal with the next phase of stellar evolution: the sun becoming a white dwarf. By this point, the sun will have burned all its helium and turned it into carbon. It won't be hot enough to burn the carbon, so it'll collapse, like when it ran out of hydrogen. This will cause it to release a bunch of energy, and the outer layers of the star will expand even further and become unstable. It'll keep throwing off layers and losing mass until all that remains is the core. It'll take about 75,000 years for the layers to disappear and the sun to take form as a white dwarf. As a white dwarf, the sun will be much smaller than it is now – about the size of Earth itself – but still with about half the mass it had as the sun we know today. This will make it super dense. It'll also be much dimmer than it is now. The temperatures on any remaining planets in the solar system will drop as the amount of energy they get from the sun drops too. At this point, the sun is basically "dead", but it's still hot. Eventually, the sun will lose enough heat so that its temperature matches the background temperature of the universe – it becomes a black dwarf. Right now black dwarf stars are theoretical, but only because the universe has not been around long enough for any to exist yet. 7. In 100 billion years, the only stars you'd be able to see from Earth will be in Milkomeda. In 2003 the Hubble Space Telescope took this picture of a tiny patch of the sky. There's something like 10,000 galaxies just in this picture. But in about 100 billion years, if we did the same thing again, there'd be no other galaxies – and the only stars we'd see would be within our own galaxy. This is because everything in the universe is being pushed away from everything else, thanks to a mysterious force known as dark energy. Our galaxy is held together by gravity, and when it merges with Andromeda the resulting galaxy – Milkomeda – will be held together too. In fact, there are more than 50 galaxies that make up something called the Local Group, and eventually they'll all be part of Milkomeda too. But because everything else is rushing away from us, at some point, a very long time in the future, we won't be able to see any galaxies other than our own. 8. 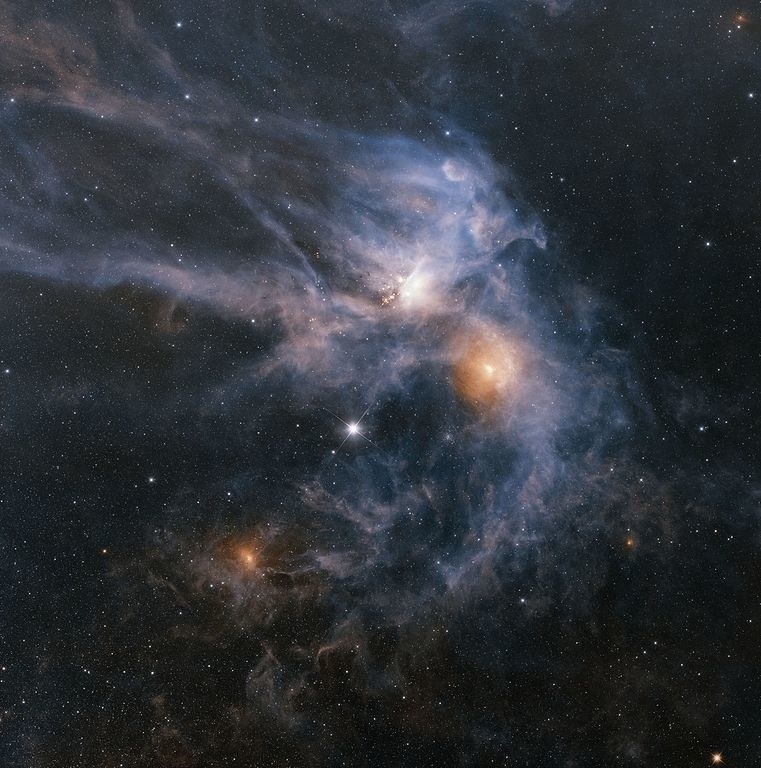 Eventually, there won't be enough hydrogen in the universe to form any new stars at all. New stars need hydrogen to form, and somewhere between 1 trillion and 100 trillion years from now there'll be no free hydrogen left in the universe. At this point, star formation as we know it will have run its course. All remaining stars will eventually exhaust all of their fuel and die. Officially, the universe will move on from the Stelliferous Era, and move into the Degenerate Era. Some stars will go like our sun, becoming white dwarfs. Bigger stars will go out with more of a bang, ending up as black holes or neutron stars. Smaller objects not big enough to form stars will exist as brown dwarfs. Basically, most of the mass in the universe will be dead stars. Occasionally, two white dwarfs will spiral in towards each other and explode in a Type 1a supernova, lighting up a tiny part of the universe for a few weeks. But mostly it will just be very, very dark.